Juliet Le Page only experienced a desire to have a baby when she met her future husband at the age of 43. She underwent fertility treatment in September 2005, and in June 2006 she gave birth to son Rafe when she was 47 years old. But Mrs Le Page was soon desperate for her second child. 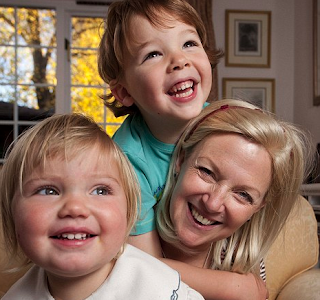 Ruled too old to receive assisted conception in the UK, she went to Spain where she received an egg from a donor, at a cost of £8,000, and gave birth aged 50 to her second child, Julia. -- Women who are trying to conceive will find a holistic approach in this hands-on manual. Step-by-step guidelines help implement a three-part program—of yoga, hypoallergenic and anti-inflammatory nutrition, and stress-reduction techniques—to cleanse the body, mind, and spirit in preparation for pregnancy. Also based on new clinical research that suggests that gut health, chronic inflammation, and environmental toxins may be root causes of in-fertility, this important book offers all women a natural, holistic approach to readying the womb for a child.